Visiting any church, for the very first time can be a tough experience. Where to go? What to wear? and “at home”! Here are a few answers to your questions and what you might expect on your first visit. way that we can be of help to you please feel free to let us know. during our Worship Services. We also enjoy having activities for the youth and youth outings. and development. Our desire is to help enrich their lives. goal is that you would feel welcome and comfortable during your visit here. What times are there services? 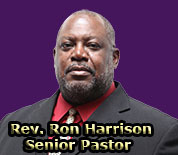 at 11:00 a.m. We also meet on Thursday evenings at 7:00 p.m. for our Praise & Worship Service. during any of our services. Our doors swing on welcome hinges. to participate in the offering as a guest. us know how we can serve you better, and we hope to meet you this Sunday.